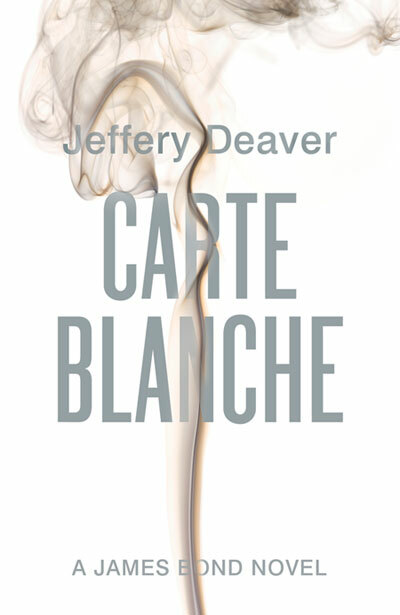 Late last night Jeffery Deaver announced the title and cover art for his upcoming James Bond novel formerly known as Project X. It’s now called Carte Blanche. I rather like the title. I don’t think it’s dead on Fleming in the way that Devil May Care was, but it’s not far from the path. I also like it due to its double meaning. Deaver says, “In the world of espionage, giving an agent carte blanche on a mission comes with an enormous amount of trust and constantly tests both personal and professional judgement. Part of the nonstop suspense in the novel is the looming question of what is acceptable in matters of national and international security. 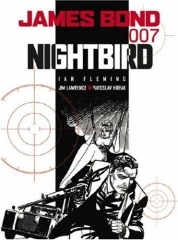 Are there lines that even James Bond should not cross?” That’s a good premise for a Bond novel. Something I think has been explored in the recent James Bond films starring Daniel Craig – specifically Quantum of Solace. It wasn’t so much carte blanche, but forming a trusting relationship between Bond and M. If there’s two things you get out of that movie, it’s that Bond is a trustworthy agent and it took him a bit to get over Vesper if he really ever got over her at all. In my opinion anyway. The other meaning I see in the title is Jeffery Deaver’s own carte blanche. When you hear stories about Glidrose (now known as Ian Fleming Publications) and the writing process previous authors had to go through to craft a unique story the way that Fleming had, carte blanche is a joke. They’ve loosened up in recent years, but still they gave Jeffery Deaver (an American too) practically carte blanche to start over with Ian Fleming’s James Bond. It’s a reboot, a blank slate, an empty piece of paper, a carte blanche. As far as a first title goes in a hopefully successful new series; It’s a fantastic title. Semi-related note, it reminds me of the new Back to the Future game by Telltale Games. They went all out here and got the original screenwriter Bob Gale to be involved and they got Christopher Lloyd back for Doc Brown (Michael J. Fox couldn’t be a part – sad). It’s a five part series. So what did they call the first episode? “It’s About Time”. I love it. Over in the UK the paperback edition of Danger Society: The Young Bond Dossier has been published. This is the definitive guide to the Young Bond series by the series’ author Charlie Higson. In addition to in-depth profiles of all characters, cars, etc, you can also read the new short story “A Hard Man to Kill”. The hardcover was previously released in the UK on 29 October 2009. A release date in the United States is currently unknown, but given that By Royal Command was just released, suspect somewhere around May 28, 2011. Hot on the heels of its recent release in the United States, The Enemy has been released in the UK in paperback form. 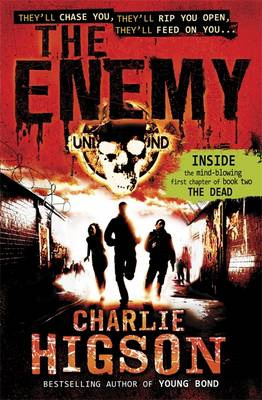 Clearly, this cover art is better than the UK hardcover which I must admit is quite terrible in a Double or Die sort of way (so as not to be confused, I’m speaking obviously of the cover only – I’ve yet to find time to read The Enemy, though Double or Die I think ranks as one of or possibly even my favorite of the Young Bonds). There’s something about the US hardcover that I like the best out of all of them so far. Both it and the UK paperback are kind of cliche, but that’s okay. Pretty interested in checking this book out though. Been playing a ton of Left 4 Dead / Left 4 Dead 2, and well, while I don’t really expect the characters here to run around with shotguns and Molotov cocktails (or a chainsaw…), I do enjoy checking out cool ways of putting down zombies. This is merely an educational exercise so that I can be ready for the inevitable zombie / vampire / “they’re trying to eat me” apocalypse. The James Bond newspaper strip collection Nightbird has finally been published in the US after being delayed from a March release. The collection includes the adventures Nightbird, Hot-Shot, and Ape-of-Diamonds. All three were written by Jim Lawrence with art by Yaroslav Horak. The stories were originally published in the Daily Express from January 1976 to January 1977 and mark the last strips for the Daily Express although both Lawrence and Horak as well as the original artist John McLusky teamed up again for syndicated Bond strips for the Sunday Express throughout the remainder of the 70s and early 80s. I know it’s unfortunate that I don’t update this site as much as I’d like nor as much as I should, but here we are at the end of my 3rd year nonetheless. As a Bond fan – or rather as a literary Bond fan there’s a lot on the horizon to be excited about. A new James Bond novel by Jeffery Deaver being published a year from today and, for me, a certain amount of new-found optimism that Charlie Higson isn’t done with his Young Bond series and perhaps soon we’ll just move on to the next chapter in Bond’s life. Who knows. Also Bond 23 (eventually) and an upcoming video game later in the year. A quiet year yet again, but like I said, we’re starting to a see movement on the horizon and at least for now, it looks good. Today marks the 102nd birthday of Ian Lancaster Fleming (1908-1964), author of the James Bond novels and Chitty Chitty Bang Bang. Last year I left you with some posts to some older mini-bios of Fleming, this year I’ll just repost the books that I believe you should all read. And obviously there are many many more. After about a week Ian Fleming Publication lifted the veil on its secretive “Project X”. Next year the adult James Bond will be back in an all-new novel by American author Jeffery Deaver who is best known as the author of The Bone Collector. The book was adapted to film and starred Denzel Washington and Angelina Jolie. 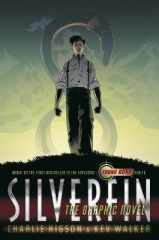 Deaver’s Bond novel will be published on May 28, 2011 by Hodder & Stoughton in the UK and by Simon & Schuster in the US. For the IFP press release and statements from Deaver about taking the helm of James Bond, check out CommanderBond.net. Published the same day as By Royal Command is Young Bond’s first adventure in graphic novel form: SilverFin. Artwork was done by Kev Walker who did all the US covers for SilverFin through Hurricane Gold, but oddly didn’t do the new By Royal Command. A pretty fantastic book, you can find a review of it by Matt Weston at CommanderBond.net. 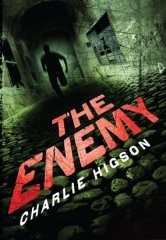 Also published earlier was Higson’s (non-Bond, post-Young Bond) novel The Enemy. A sequel to that is coming soon in the UK called The Dead.